Even as robotics experts, universities and tech luminaries sound the alarm about the potential for a future filled with killer robots powered by artificial intelligence, this technology already has arrived … minus the stringent ethics. While strictly correct that this is the first pedestrian killed, regular readers of Activist Post might recall that in July, 2016 I warned about some disturbing indications that this would be inevitable. These incidents and dilemmas have thus far occurred during training and testing, which might mitigate some of the seriousness, but nonetheless points to some genuine flaws that should preclude these vehicles from being widely employed. 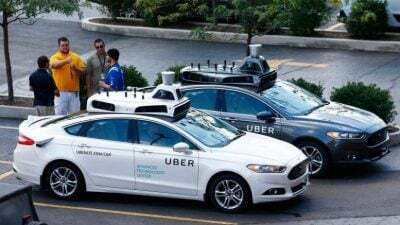 Now that autonomous vehicles have been unleashed upon the public, we are starting to see the unfortunate ramifications. To Uber’s credit, they at least are announcing a halt to all autonomous testing nationwide. Aside from the technical challenges, questions have been raised about the ethics and morality that will be required in certain fatal situations. That area, too, has raised eyebrows. Is it right to sacrifice the lives of some to save others? The truth is that researchers are still in the process of developing foolproof sensor systems and artificial intelligence that can properly recognize all surroundings and develop true situational awareness, yet they continue to be deployed into the real world. It’s also worth noting that the general public is overwhelmingly concerned about having A.I. vehicles in public, as Fox News cites a 78% disapproval. Now we will wait to see if the response to this event will be a technological solution or a political one. As The Daily Sheeple rightly notes, this very well could be a crisis that the government can’t let go to waste. Currently, regulations for autonomous vehicles tend to vary by state. Will this Uber accident spur quick calls for stricter federal oversight? Please give us your thoughts about the solutions that are needed as Big Tech is all-in on autonomous vehicles. Nicholas West writes for Activist Post. Support us at Patreon for as little as $1 per month. Follow us on Facebook, Twitter, Steemit, and BitChute. Ready for solutions? Subscribe to our premium newsletterCounter Markets.